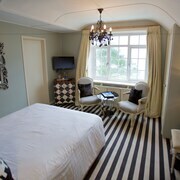 Where to find Looe hotels near an airport? 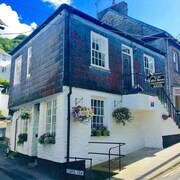 Where can I find hotels in Looe that are near tourist attractions? 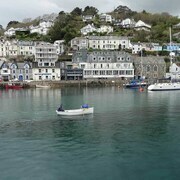 Approximately 19 kilometres (12 miles) from downtown Cornwall is Looe. The Land's End is one of the most visited Cornwall tourist attractions. The Commonwood Manor and Sawyers B&B are all conveniently located to the Old Guildhall Museum and Gaol, while the Trenderway Farm is close to the St John the Baptist Church. Trying to stretch your travel budget further? 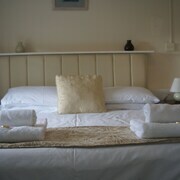 Looe's more economical hotels and apartments includes the Sawyers B&B. 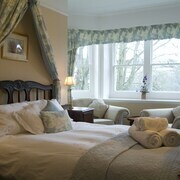 The Liskeard hotels guide is another place to find places to stay in Cornwall. Liskeard is a neighborhood that can be found 12 kilometres (7 miles) north of central Looe. 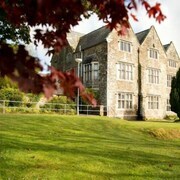 Another option is to make a reservation at a hotel in Lostwithiel, which is another nearby Cornwall neighborhood. The Expedia team wishes you fun-filled days in Cornwall. For even more great ways to fill up your days here, spend a few minutes exploring our Cornwall vacation travel guide. 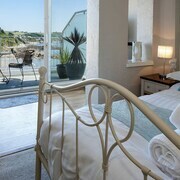 And when it's time to find a place to stay, please visit our Cornwall hotels page. 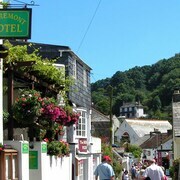 What are the most popular Looe hotels? 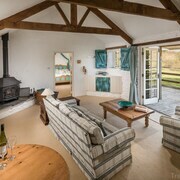 Are there hotels in other cities near Looe? 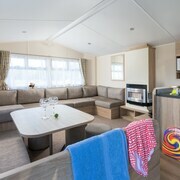 What other types of accommodations are available in Looe? Explore Looe with Expedia.ca’s Travel Guides to find the best flights, cars, holiday packages and more!